Physical therapy is the use of exercise, heat, cold, water, massage, or electricity in the treatment of damaged muscles, bones, or joints due to injury or disease. The goal of physical therapy is to restore full or partial function of the affected body part or to build up other muscles to make up for weak ones. Physical therapy is usually performed by a trained physical therapist, who sets up a therapy program based on instructions from a medical doctor. Mechanical manipulation. Massage, manipulation of the injured limb, weight lifting, and water therapy are mechanical forms of physical therapy. Massage is the rubbing, tapping, or kneading of an injured area to increase blood circulation and relieve pain. Manipulation consists of manually bending an injured joint to restore full range of motion and eliminate pain from movement. Weight lifting involves the use of machines or free weights to strengthen and build muscle. Water therapy includes walking or exercising in water and using the resistance it provides to build muscle and increase range of motion of joints. Cold therapy. Cold therapy is an effective means of reducing tissue inflammation following an injury or surgery. Cold therapy is applied in the form of ice packs, sometimes combined with massage or a cold water bath of the injured area. The cold temperature reduces blood flow to the injured site, reducing inflammation and bleeding. Oxygen demand of the injured tissue is decreased, preserving the muscle cells. In addition, the anesthetic effect of the cold temperature helps to ease pain. Heat therapy. Heat therapy may be used after active swelling of an injury has stopped, usually within 24 to 48 hours. Heat can be applied with moist heat packs, hot water (as in a whirlpool bath), a heat lamp, or by conversion. Conversion is the generation of heat by the passage of sound waves or electric currents through tissue. Diathermy is an example of electric currents directed into tissue and converted into heat. Ultrasound is a technique that uses high-frequency sound waves to heat joints, which can help to relieve joint pain. Heat increases blood flow to the area, which helps to reduce muscle spasms, increases the amount of oxygen reaching the injured tissue, and carries waste products from the site. Conversion: Process by which sound waves or electric currents passed through the skin are transformed into heat. Diathermy: The production of heat in body tissue through the use of electric currents. Iontophoresis: The administration of a drug through the skin by an electric current. TENS (transcutaneous electrical nerve stimulation): The use of electric currents passed through the skin to relieve pain in a specific area of the body. Ultrasound: A technique in which high-frequency sound waves raise the temperature of body tissue by producing vibrations within it. Electrical stimulation. The application of electricity can restore muscle tone by stimulating muscles to contract rhythmically. 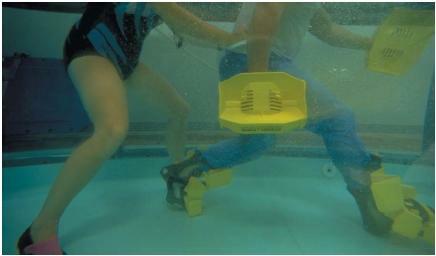 This method is often used to exercise the muscles of a person confined to a wheelchair or bed. Over time, muscles that are not used will atrophy (become smaller and weaker). The application of electrical stimulation can prevent muscle atrophy in wheelchair-bound patients and reduce the length of therapy required for patients who regain mobility. Electricity also can be used to drive molecules of medication through the skin into the tissues. This is called iontophoresis. Pain caused by an injury or illness (such as cancer) can be controlled using TENS (transcutaneous electrical nerve stimulation). A TENS machine passes electric current through the skin (transcutaneously) of the injured or diseased site, stimulating certain nerve fibers and blocking the transmission of pain impulses through others.